This means that what a child learns at school must constantly be checked and corrected at home. We cannot assume that something he is going to learn at school is simply something that is profitable or secular and has nothing to do with his Orthodox upbringing. He may be taught useful skills and facts (although many schools in America today are failing miserably even at this; many school teachers tell us that all they can do is keep the children in good order in class without even teaching them anything), but even if he gets this much, he is also taught many wrong attitudes and philosophies. A child's basic attitude towards and appreciation of literature, music, history, art, philosophy, even science, and of course life and religion — must come first of all not from school, for the school will give you all this mixed up with modern philosophy; it must come first from the home and Church, or else he is bound to be miseducated in today's world, where public education is at best agnostic, and at worst openly atheistic or anti-religious. Of course, in the Soviet Union all this is forced upon the child, with no religion whatsoever and an active program of making the child an atheist. Parents must know exactly what is being taught their children in educa-tion courses, which are almost universal today in American schools, and correct it at home, not only by a frank attitude to this subject (especially between fathers and sons — a very rare thing in American society), but also by a clear setting forth of the moral aspect of it which is totally absent in public education. Television — in households where there is not enough courage to throw it out the window — must be strictly controlled and supervised to avoid the poisonous effects of this machine which has become the leading educator of anti-Christian attitudes and ideas in the home itself, especially to the young. The child who has been educated in good literature, drama, and poetry and has felt their effect in his own soul — that is, has really enjoyed them — , will not easily become an addict of the contemporary movies and television programs and cheap novels that devastate the soul and take it away from the Christian path. The child who knows something of the history of the world, especially in Christian times, and how other people have lived and thought, what mistakes and pitfalls people have fallen into by departing from God and His commandments, and what glorious and influential lives they have lived when they were faithful to Him — will be discerning about the life and philosophy of our own times and will not be inclined to follow the first new philosophy or way of life he encounters. One of the basic problems facing the education of children today is that in the schools they are no longer given a sense of history. It is a dangerous and fatal thing to deprive a child of a sense of history. It means that he has no ability to take examples from the people who lived in the past. And actually, history constantly repeats itself. Once you see that, it becomes interesting how people have answered problems, how there have been people who have gone against God and what results came from that, and how people changed their lives and became exceptions and gave an example which is lived down to our own times. This sense of history is a very important thing which should be communicated to children. In general, the person who is well acquainted with the best products of secular culture — which in the West almost always has definite religious and Christian overtones — has a much better chance of leading a normal, fruitful Orthodox life than someone who knows only the popular culture of today. 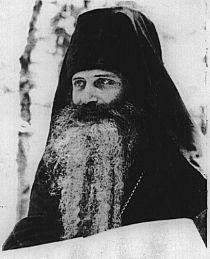 One who is converted to Orthodoxy straight from "rock" culture, and in general anyone who thinks he can combine Orthodoxy with that kind of culture — has much suffering to go through and a difficult road in life before he can become a truly serious Orthodox Christian who is capable of handing on his faith to others. Without this suffering, without this awareness, Orthodox parents will raise their children to be devoured by the contemporary world. The world's best culture, properly received, refines and develops the soul; today's popular culture cripples and deforms the soul and hinders it from having a full and normal response to the message of Orthodoxy.